Home Compare Samsung Smartphones Samsung Galaxy S8+ versus Samsung Galaxy S9+; What's New? Samsung Galaxy S8+ versus Samsung Galaxy S9+; What's New? We managed to find out the improvements between the S9 and S8. Now, we are going to look into their bigger brothers, the Galaxy S9+ and the Galaxy S8+. 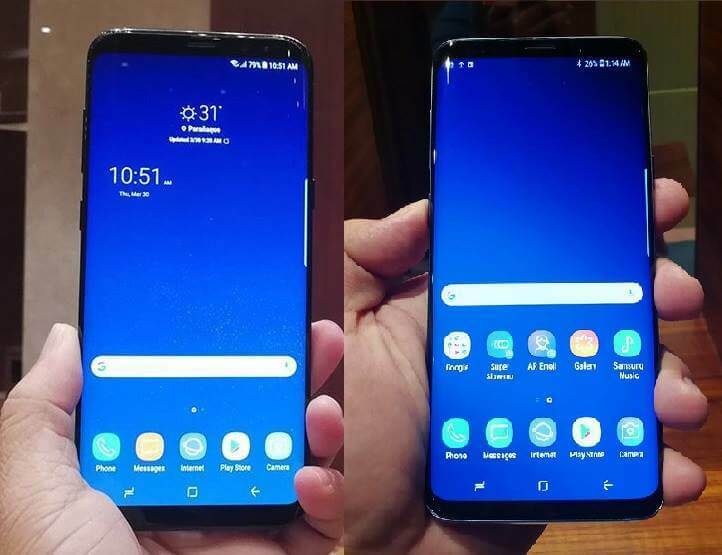 Samsung Galaxy S8+ (left) versus Samsung Galaxy S9+ (right); What's New? Without further ado, let the battle commence. Samsung Galaxy S8+ Pros: The only significant advantage that I see for the Galaxy S8+ is the lower asking price and potential price cut it will get now. The difference in specs, however, will be in overall performance. Samsung Galaxy S9+ Pros: The difference in performance is expected as it has a newer chipset with faster CPU and better GPU, a 6GB of RAM and wider variety of storage size. The new dual camera setup is also a big improvement. The Samsung Galaxy S9+ improved upon the S8+ by bumping up the performance and adding a new dual camera setup that was only previously available with Note 8. Overall, they are almost evenly matched in terms of features.